Photo of the day: NEVER TRY TO OUTDO RONALD McDONALD ! Photo of the day: NEVER TRY TO OUTDO RONALD McDONALD ! 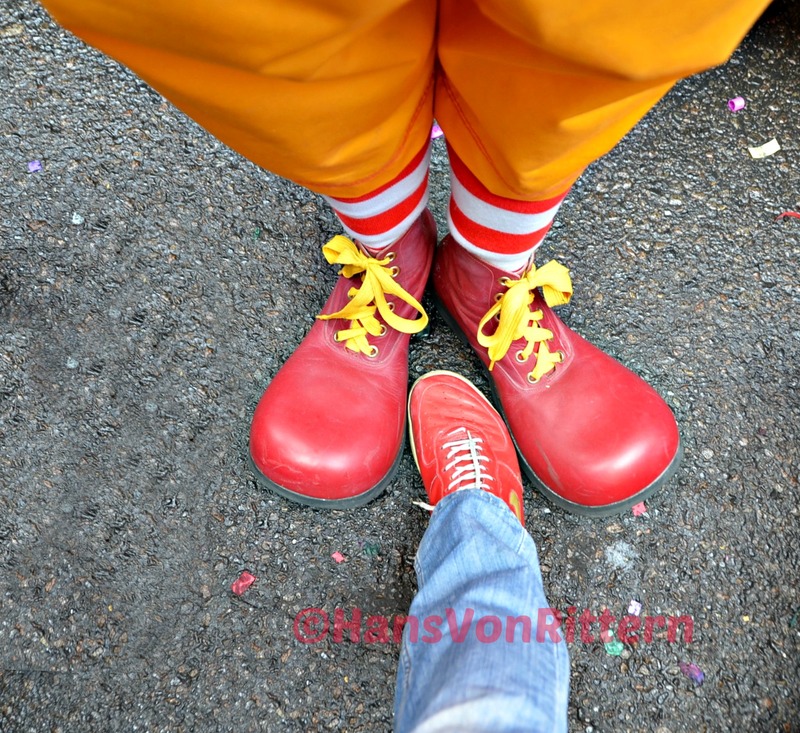 – Whilst partaking in the Chinese New Year parade this year in New York I came across this clown wearing red shoes just like mine – his were bigger. 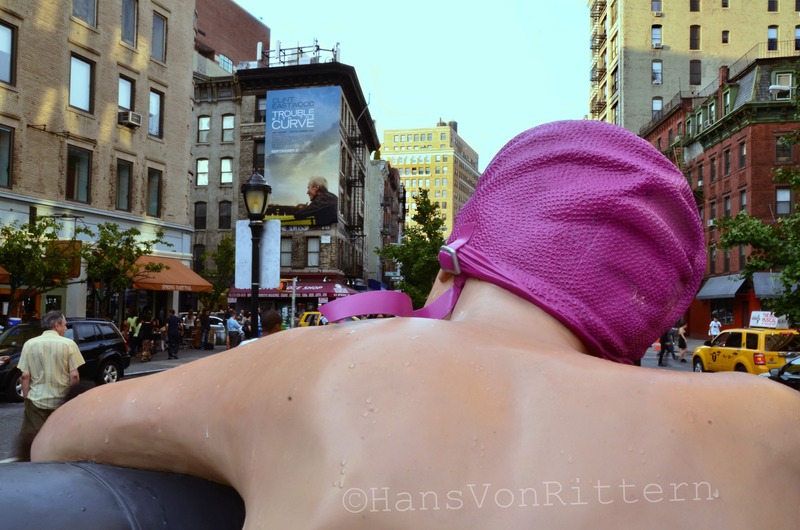 Photo of the day: IT’S NOT EASY BEING GREEN, (I THINK I’LL ‘SKIP’ LUNCH) – While squeezing through the crowded side streets of New York’s Chinatown for the lunar new year, I was getting bumped and shoved into the open store fronts, seeing all sorts of food oddities. I was getting used to seeing the squids, the eels, the sea urchins, the giant shrimps etc, but then I bumped into that I thought was a garbage can. Having a soda bottle I wanted to get rid of I looked inside and looking back at me were dozens of desperate green eyes. 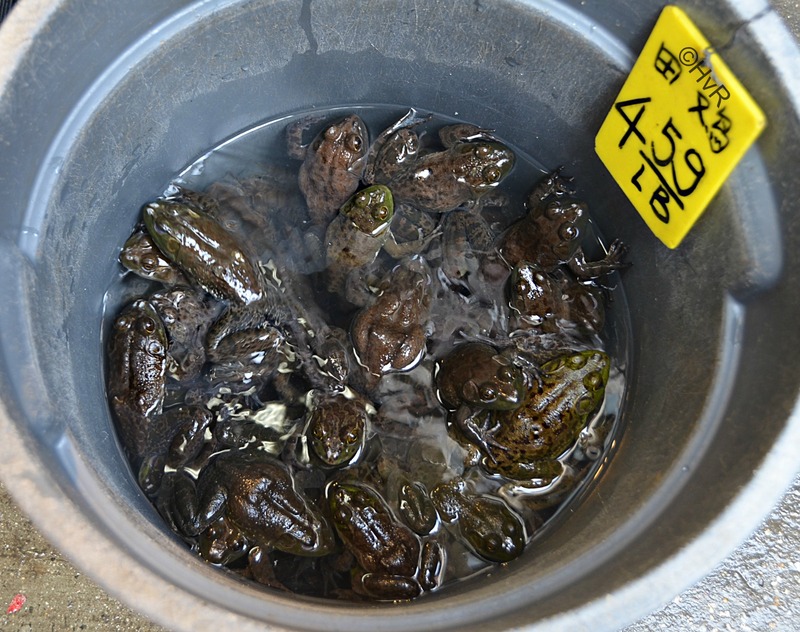 It was a giant garbage can filled with large green slimy frogs all anxious to get out. I just looked at them in horror. They were all slated to be somebody’s frogs legs dinner that night. They all caught my eyes seemingly desperately saying “please help us.” It was awful. I just wanted to buy some and let them loose in Central Park. What if one of them is your Prince?!! 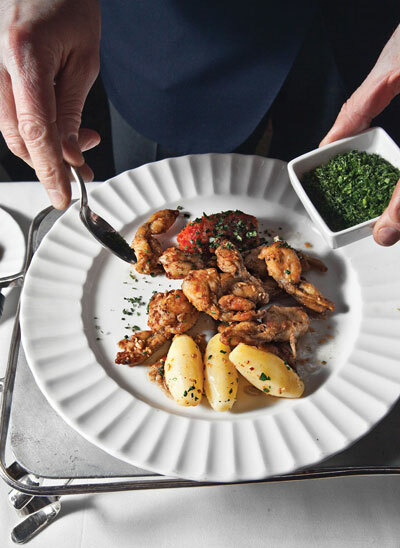 Not being able to get them out of my mind, I went home and looked up ‘frog delicacies.’ “Tastes like chicken” all recipes seem to say, So I wondered, how do you kill a frog/Kermit? Seems most favovered method is you grab them by the feet and smack them full force against the wall. Splat – Bon appétit! 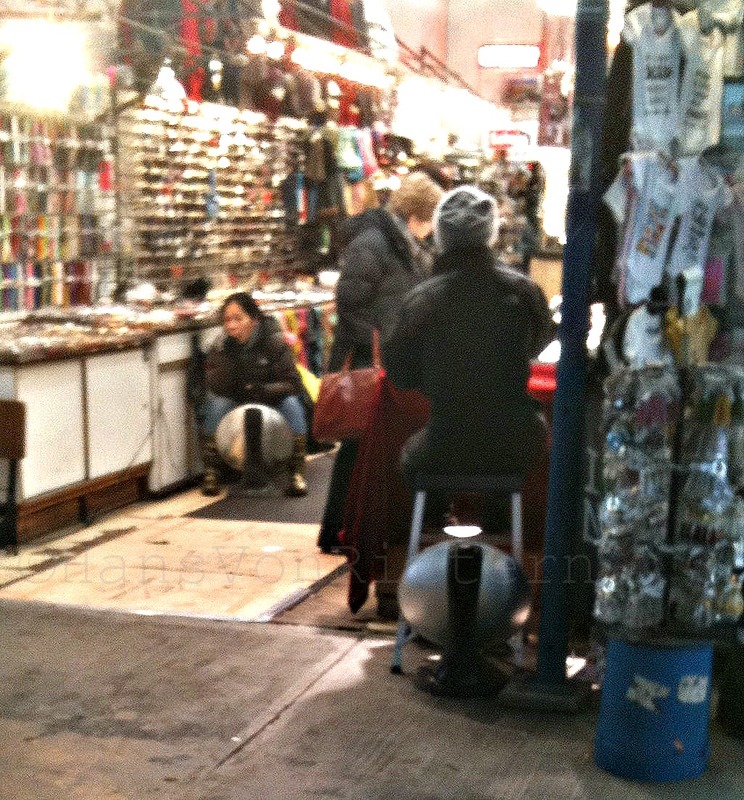 Photo of the day: THE NEW DEFINITION OF ‘HOT POCKET’ – Seen in Chinatown, New York – a woman in one of the open air markets straddling an electric heater between her legs to keep warm. That’s some intense heat – ouch !